This image offers the frontal view of the 2-plane drawing 'Reach'. 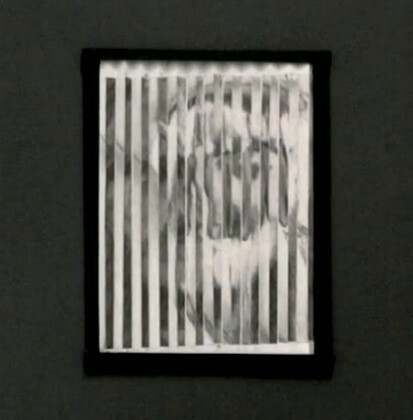 The work changes as one walks by it, as the angled surface alternates between an image of an old woman's face and her hand. The woman is the artist's great grandmother.